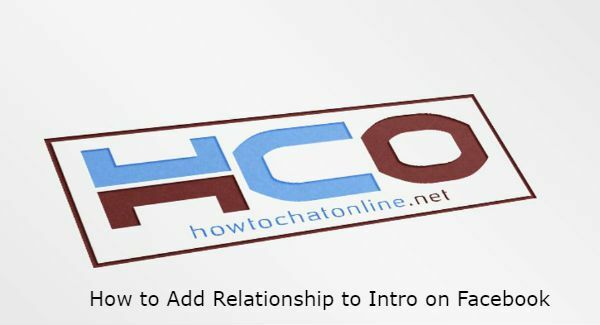 Do you want to add your relationship status to intro on Facebook? This question has been asked by a user from Glasgow, United Kingdom. We are going to answer his question on this post and we will also answer those who don’t know how to add relationships intro on Facebook. If you have any other questions related with this, please ask us. We are going to answer you answer you as soon as possible. Let’s talk about how to do it. See Also: Can You have Two Accounts on Facebook? Go to your profile view. Just hover the intro box with your mouse. A transparent pencil icon will appear on the box. There will be a list of your personal data. Find “Relationship” from the list. Mark the box which is near of Relationship. That is all you need to do the place relationship status to your intro box. If you have any questions. Please let us know. You can add your position on your work. Also the company that you are working can be added. The school that you studied. The school that you are still studying. The date when you joined to Facebook. Number of your followers on Facebook. There are also more than these and you can add all these information to your intro. Intros are the best feature on Facebook to make others know about you. You can also let people know about your studies and featured skills and also featured pictures. See Also: How Do You Hide Your Name on Facebook? ← Can You have Two Accounts on Facebook?